For our purposes of learning how to play, we'll begin on the EASY level. Simply use your mouse. ;) Additionally, to place a flag, Windows users can use Ctrl+click and Mac users can use Shift+click. We begin with a grid. It has 81 grey neggs, and 10 of these are TRAPS! Each time you click on a negg that is not a trap, you will get points added to your Jackpot. But how do you know which neggs don't have traps? Starting the game We'll go more into detail about how to choose where to click later, but to start, we just need to make a random click! This is risky, because obviously, you don't know which Neggs are traps. So just make a guess (usually it's good to click around the middle of the board), and click. We are looking for a Negg that will open up the board a little bit, like the picture to the right. 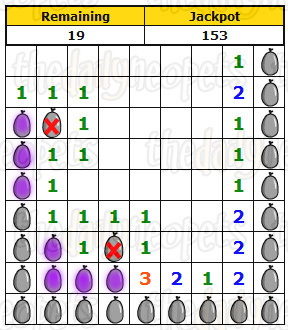 All of those neggs were cleared by clicking only ONE negg, because if you click a negg that touches no traps, it will clear all of the neggs that do not have traps around it until traps are reached. If you happen to click on a space that only uncovers ONE number, keep clicking until a larger area is opened up. If you click on a trap, it's too bad. :( Start a new game and try again. Finding a trap Now that you have this open space, we can start talking about strategy! We're going to begin by talking about the highlighted squares in the picture to the left. First, we'll focus on the RED highlighted number. In this square, there is a number 1. 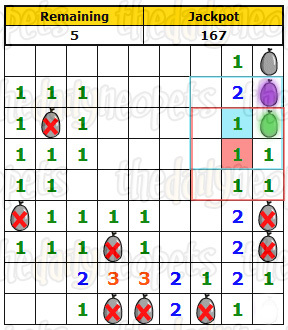 This means that in the 8 squares that are touching this square (outlined in red), there is ONE trap. The same is true for other numbers. The TWO square just down and to the right of the red one has TWO traps within its adjacent (touching) squares, and so on. Now, since all of the adjacent squares to the red one are gone, except ONE (the GREEN highlighted square), we KNOW FOR SURE that this square is a TRAP! We want to make sure we never ever click this square, so (WARNING! on some browsers, especially on Macs, this does not work) if you hold down the control key and then click it, a red X will be placed on top of it to help you remember which neggs are traps. Now we need to look at the blue highlighted number. 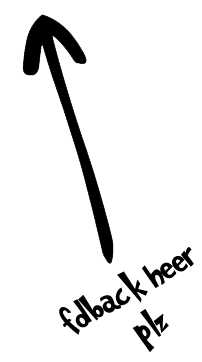 It is a ONE, which means ONE out of eight of its adjacent squares (outlined in blue) is a trap. 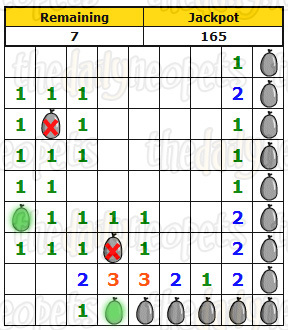 Since the green trap negg is adjacent, this means that any other neggs within the blue outline are NOT traps, and you can click to get rid of them! so, go ahead, click the PURPLE negg! It's safe! Finding another trap PHEW! That was a lot of explaining, but believe me, once you understand all of that, playing will be a snap. So if the previous set of instructions were a little hazy, I strongly advise you to read it again to understand. ;) Anyway, next, take the same principal, and apply it to all of the other ONE squares that only have one negg left adjacent to them. Here you see the purple highlighted neggs are the ones that now can be eliminated just from this principal. Clearing more squares Ooh, lots happened here. 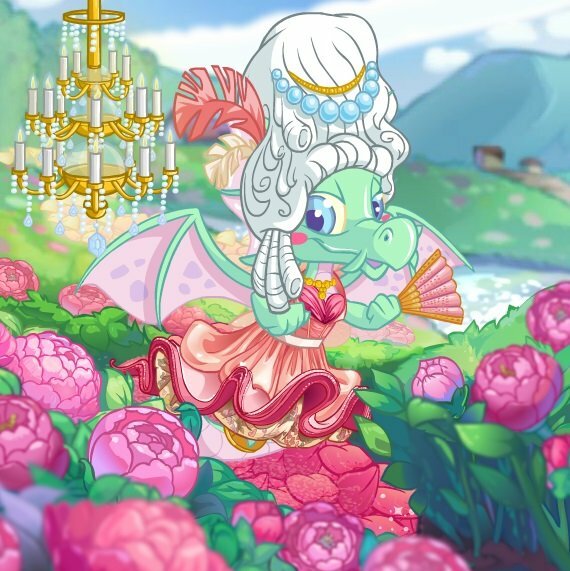 I clicked one of the purple hightlighted neggs, and it made a lot of the neggs disappear! Here we can mark another two traps - one on the left and the other down the bottom (highlighted GREEN). Finding traps by 3s Now we've eliminated everything we can with the ONEs. Now we're going to move to THREEs! 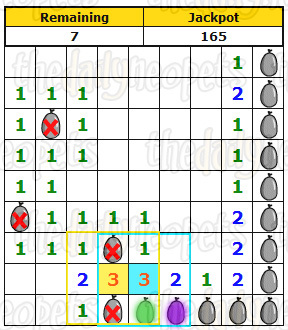 If you look at the YELLOW three and its adjacent squares, you'll see there are two already marked as traps, and only one unmarked negg. That means that negg is also a TRAP, to make the total to three! You can mark it as such. Now we want to look at the BLUE THREE. 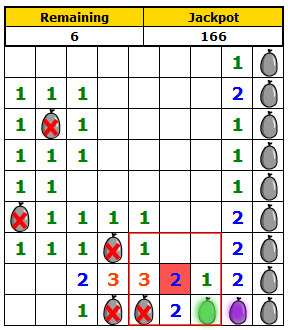 It has four adjacent neggs left, and since you know which three are traps, you can get rid of the last one that isn't! Finding another trap Now you want to look at the RED two just to the left of the threes. See how when you look at its adjacent squares there's one already marked trap and one unmarked negg - yup, you guessed it, that unmarked one is a TRAP as well! We can then look at the one above the trap you've just identified... since you've identified the trap you can then eliminate the PURPLE negg as its safe. Eliminating more neggs Since you've revealed another one, you can eliminate the two neggs to its right! 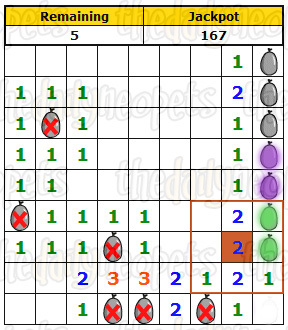 Finding two traps Next, take a look at the ORANGE two and its adjacent squares, you'll see there are only two neggs left. That means they are both TRAPS! These two traps also fulfil the requirement for the twos above and below the blue one. Finally, take a look at the one above the three twos - now you've identified the trap among its adjacent squares you can also click off the two PURPLE ones. Finishing up We're nearly there now - only two more traps to identify! Take a look at the RED one and its adjacent squares... well, we're back where we started aren't we? Only one negg so it must be a TRAP! Now take a look at the BLUE one - you've just identified a trap next to it, so any others its touching must be safe! We said before that we only had two left to identify right? Since we only had three to chose from, and we just eliminated one... WE WON! Occasionally, if you're lucky and you manage to click on the correct negg, you'll find special neggs and extra Neopoint bonuses! 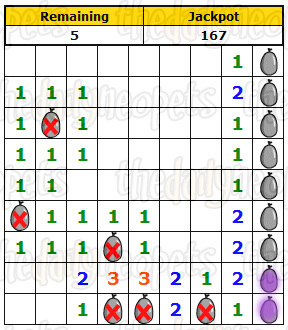 The EASY difficulty has 81 neggs and 10 traps. 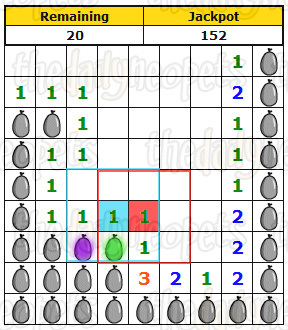 The MEDIUM difficulty has 144 neggs and 25 traps. 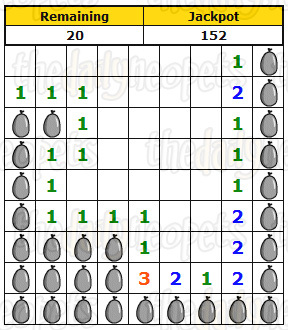 The HARD difficulty has 196 neggs and 40 traps. With a little practice and tinkering around, you can tackle the HARD difficulty in no time. Good luck!